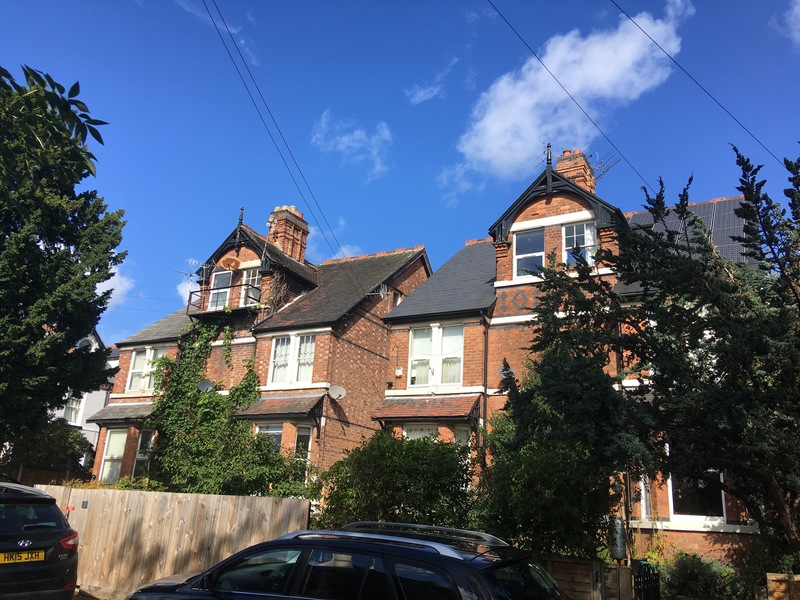 Firstly, what are thought to be be the final works to come out of Fothergill’s office before his retirement in 1906, a terrace of 4 three storey houses on the corner of Mansfield Road and Bingham Road (A77). The date stones are clearly marked but otherwise these aren’t in great condition. 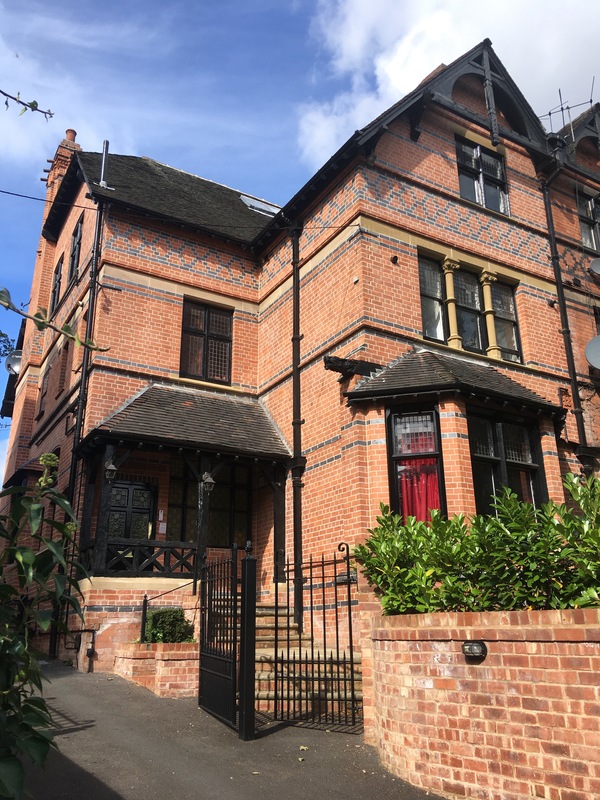 Further down at 409 & 411 Mansfield Road, (A46) is the earlier pair of three storey villas built for Mr JJ Adams in 1886, these are more recognisably Fothergill in look and one has been nicely cleaned. The polychrome brick patterns and the black wooden details are the giveaway. There are a few tiny gothic touches in the windows too that mark them out. Next on this trail is the impressive Clawson Lodge, now the Ukrainian Centre (A43). 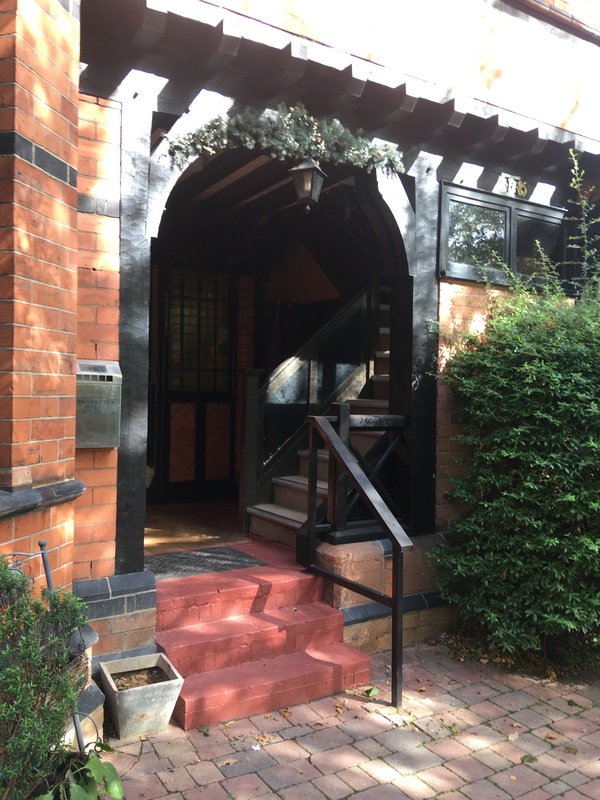 A gentleman who was having a tea break out on the drive invited me in for a closer look, and I nervously snapped a couple of photos of the front of the house. 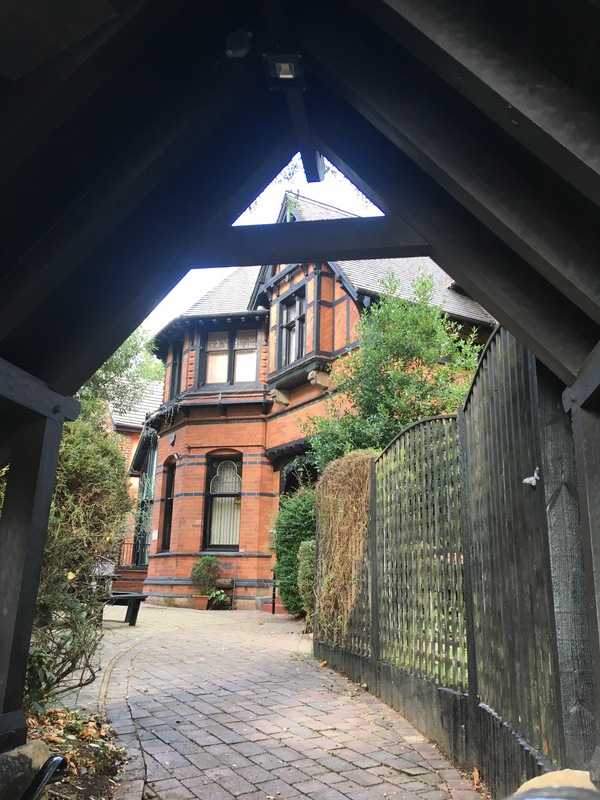 Clawson Lodge was built for Mr Francis Adams Doubleday, the lace manufacturer for whom Fothergill also built Milbie House on Pilcher Gate (as visited on the Watson Fothergill Walk). Clawson Lodge was built in 1885, when Fothergill was still Fothergill Watson, working out of his office on Clinton Street. 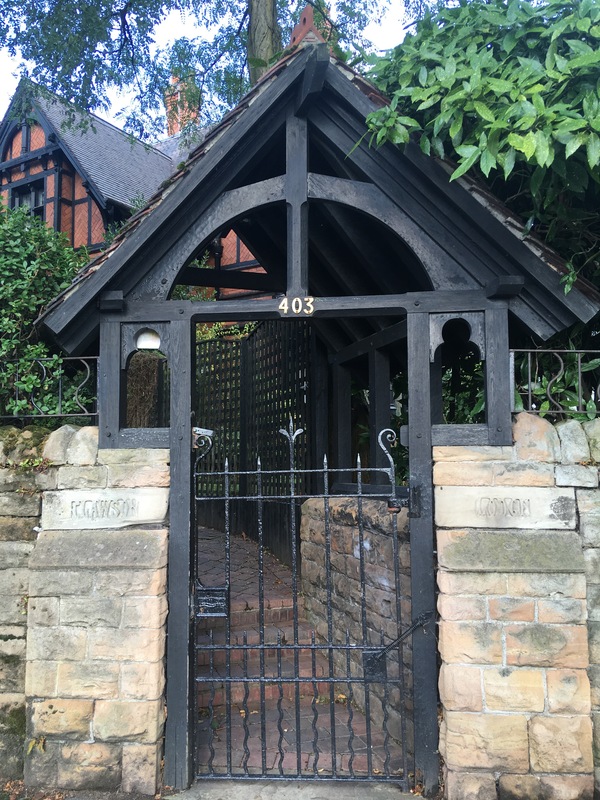 The lych gate and garden wall are also included on the grade II listing of the property. 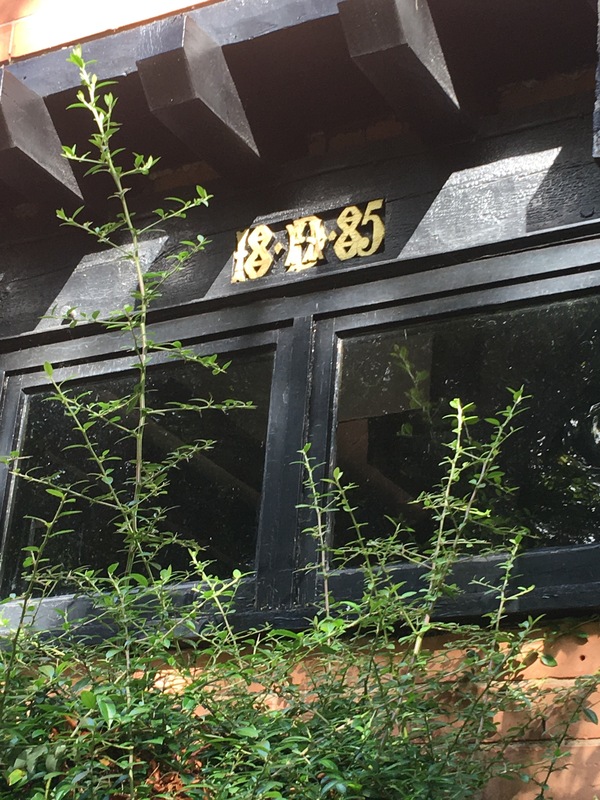 This house already shows some features that would become instantly recognisable as Fothergill touches, including striking black wooden gables with barge boards and brick nogging. 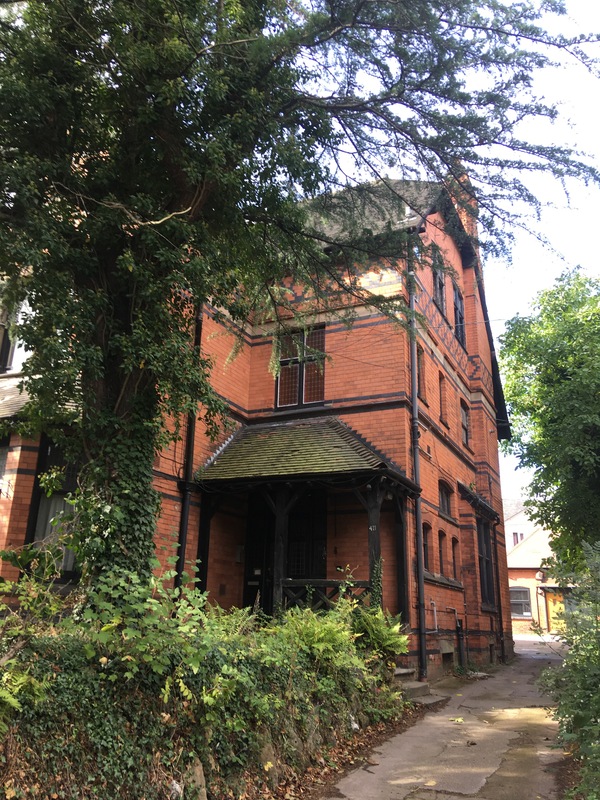 A little further into Carrington, we find Yew Tree Avenue, now a rough track leading to two pairs of semi-detached villas built in 1881, possibly the earliest Fothergill houses still standing in Nottingham (A33). These four houses now seem to have been made into flats. They were originally built for Mr Luke Scatergood. There are some Fothergill hints, the brick patterns and the gabled dormers, but his style isn’t yet quite fully formed. Previously on the other side of Yew Tree Avenue, Fothergill had built another pair of villas (A31, 1881) for Mr Thomas Guy. But these have been demolished and the site is now a carpark/ car dealership. More Fothergills of Nottingham in the next installment!